Barbados continues to hold the top spot as the Caribbean’s most powerful passport. It is ranked at 21 globally. 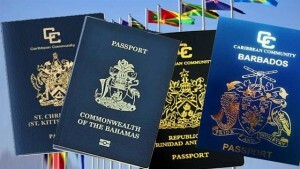 Taking the second spot in the Caribbean but ranking at 23rd globally in the passport of the islands of the Bahamas. In the third spot in the Caribbean but ranking at 26th globally is the passport of St. Kitts & Nevis, which is available to investors globally via the Citizenship by Investment Program. 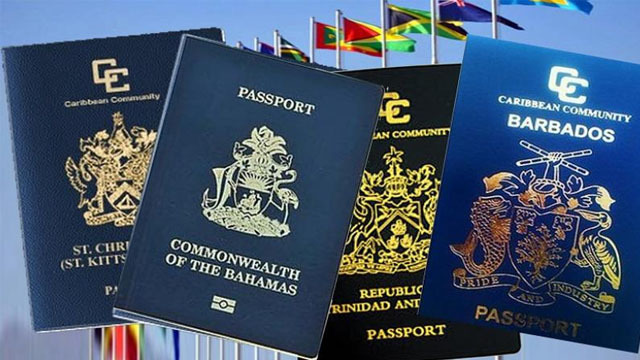 Antigua & Barbuda, another Eastern Caribbean nation that offers a passport program to globally investors, saw its passport rank 27th globally and fourth powerful in the Caribbean. Taking the rank as the fifth most powerful regional passport is Trinidad and Tobago, though it ranked 30th globally. The sixth most powerful Caribbean passport according to the latest Passport ranks is the Saint Lucia passport, which ranked at 31 globally. A passport from St. Vincent & The Grenadines is considered the 7th most powerful in the Caribbean and the 32nd globally. Grenada, which also offers its passport to investors through its own Citizenship by Investment Program, rounds out the Top 8 most powerful passports in the Caribbean. It ranked at 33 globally. By the way, in case you are wondering, the US passport is the fifth most powerful in the world, outpowered by Japan at number 1, Singapore at number two, Germany and South Korea at number 3 and Denmark, Finland, Italy, Sweden and Spain at number 4.